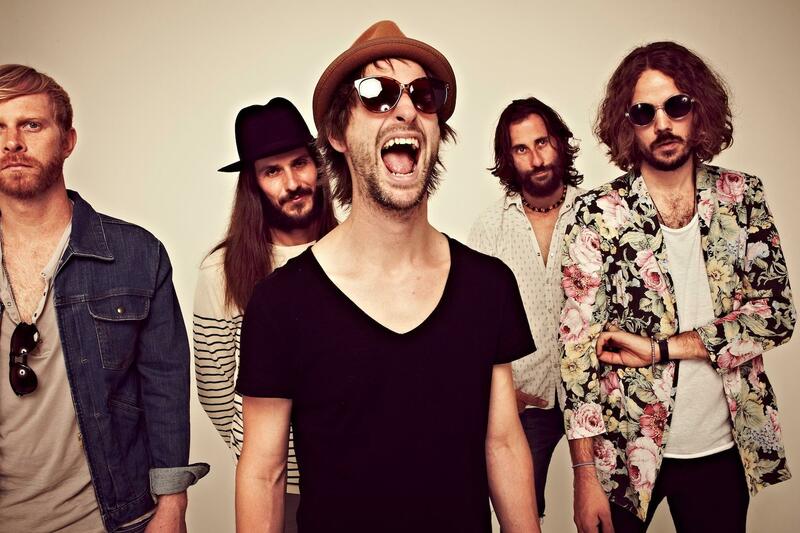 The Temperance Movement are quite simply refreshing. To see a band of musicians rise rapidly to a significant level of success in the space of just twelve months provides hope and inspiration to the aspiring musicians of places like London’s Tech Music. In this short time they have gone from being the support act to not many people in the 100 Club to having completed a sold out UK headline tour taking in Scala and announcing a second UK tour that takes in London’s 1,400+ capacity Koko in November. This is no mean feat for a band in this musical age. Monday 16th September sees the release of their self-titled debut album. Those of us who have been watching the band’s growth have been eagerly awaiting this release and are very familiar with many of the songs that feature. Collected together this album shows The Temperance Movement to be a very versatile band with the rocking groves in the bridge of blues toned ‘Ain’t No Tellin’’, to the American southern country feel of ‘Serenity’. There is something for everyone on this album. Their live show has been delicately translated to recorded format and careful thought has been given to the track running order. Opening with the song that garnered them the greatest recognition ‘Only Friend’, the tone of the album is set and does not falter throughout. Phil Campbell has a gravel toned voice that many men would pay to have, he is able to apply it with equal care to all the songs, regardless of the musical sound that they are played in and it is notably exposed at the end of ‘Know For Sure’. The album has a good selection of upbeat and more relaxed songs like ‘Pride’. The band are fastidious in their ability to play both types of song. The quality of the song writing is evident throughout the album and the natural talent within this band is evident. One of the key qualities is the catchy choruses of tracks like ‘Take It Back’. ‘Chinese Lanterns’ is a favourite and its recent live interpretation by the band shows their raw and very pure gift and most importantly how well they work together as a unit. As lovely as the CD version is, it just doesn’t do the live version justice, but I won’t spoil that for you. Their live show is simply something you must see. ‘Midnight Black’ picks up the beat, another classic it gets you jiving around your room. Drummer Damon Wilson and bassist Nick Fyffe are the driving force behind its rocktastic feel. Songs like ‘Be Lucky’ have been carefully mixed, with a guitar panned to each ear, creating a clear and well-rounded sound. Guitarists Luke Potashnick and Paul Sayer play off each other well on the album, both skilled musicians with their own sound that helps make The Temperance Movement the wonderful band that they are. I cannot find fault with this album, a truly brilliant debut album. Well done. “The Temperance Movement” is available on CD, Vinyl and Cassette. Next Beaten To Death – Dodsfest!